HOW DOES OUR SKIN TONE AFFECT OUR PERCEPTION OF BEAUTY, RACE, AND CLASS? Skin color separates us. Views on skin tone harbor the friction. Biologically it is melanin. Socially it is more and among people of color, colorism is a deep issue. In the light skin and dark skin debates, our constructed views are deeper than melanin. What can this divisive topic tell us about Blackness? Colorism, a term coined by Alice Walker in 1982, is not a synonym of racism. Numerous factors can contribute to "race" ; therefore, racial categorization does not solely rely on skin color. Skin color is only one mechanism used to assign individuals to a racial category, but race is the set of beliefs and assumptions assigned to that category. Colorism is the dependence of social status on skin color alone. 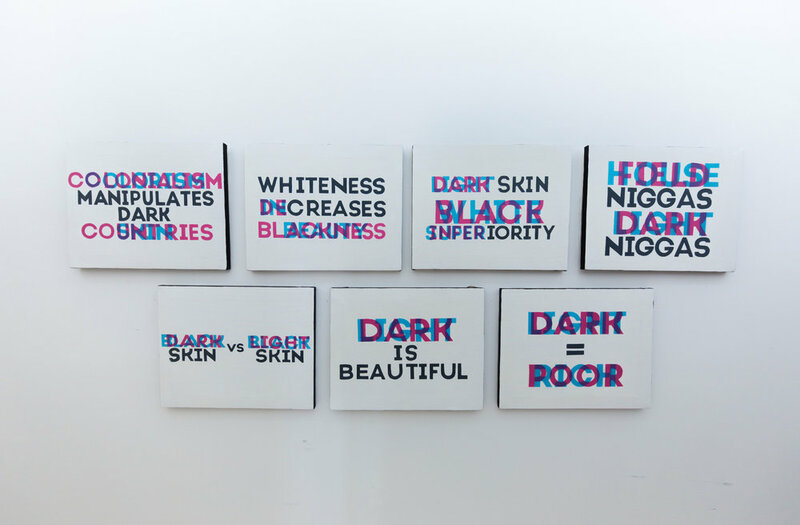 In order for a form of discrimination to be considered colorism, differential treatment must not result from racial categorization, but from the social values associated with skin color. Colorism isn’t something new. This division shows up in social media chatter, childhood banter, and areas of prejudice between light skin and dark skin. Using this lighting approach, I positioned two sides of tension in one position. I wanted to deconstruct the layers beneath skin tone to understand our divided notions of beauty, love and respect. 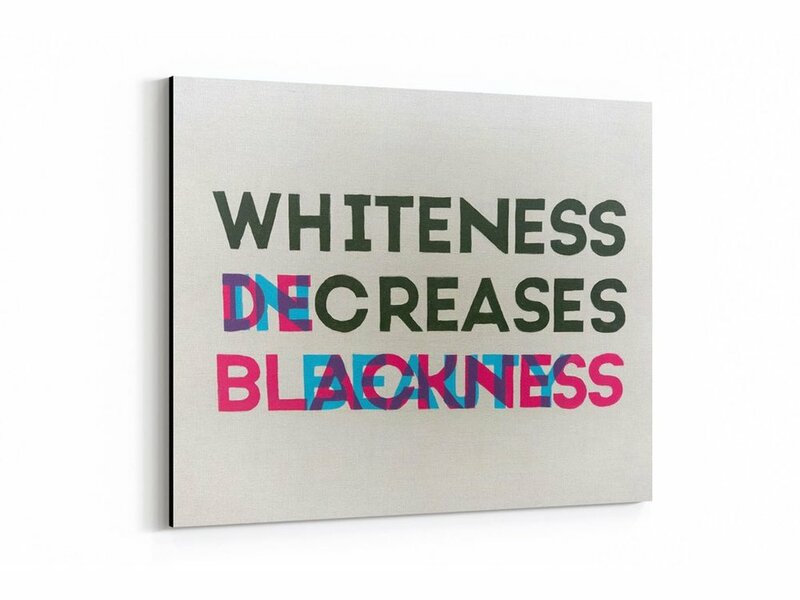 The art examines history's role, reconnects the broken bridges, and presents symptoms of racism, colonialism and media. In the process, I saw Blackness held hostage by constructions of racial hierarchy. A Blackness that was unique and complex as a result of history. A Blackness with colonized history that succumbs to notions of a racial promise land. A promised land of White wealth, beauty and love. In that process, throwing away Black beauty not qualified by Whiteness.